How to keep hygiene in our fridge? In order to maintain the good hygiene of our foods, favorite drinks and products, it is advisable to clean the fridge once a month. This way, we will avoid creating a mess of foods that show off bad odors and harmful bacteria that are inside your fridge or freezer. There are also occasions when mold lays and multiplies for days on the fridge’s rubber straps. The time required to clean the varies greatly from its size and its greasing. 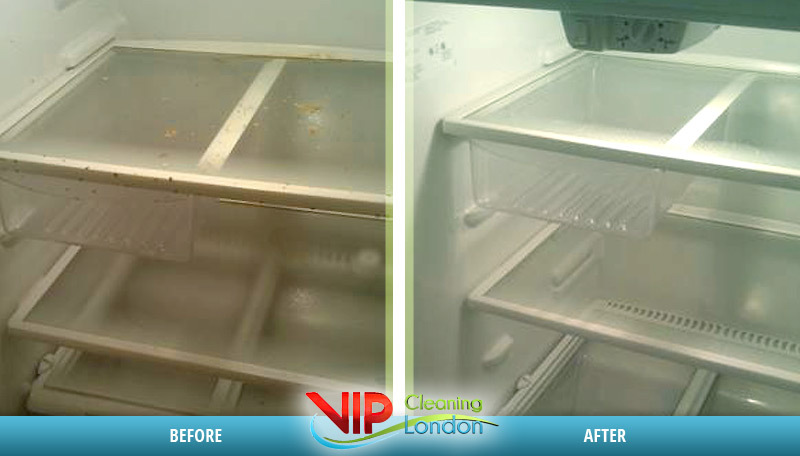 On arrival our team member will check your fridge and discuss with you how long your appliance will take to clean. Before we start cleaning fridge or freezer, you must have turned it off 48 hours before cleaning. – After our inspection our team will have a special disinfectant for the sole purpose of removing mold and odors. Then remove all shelves, trays and drawers. 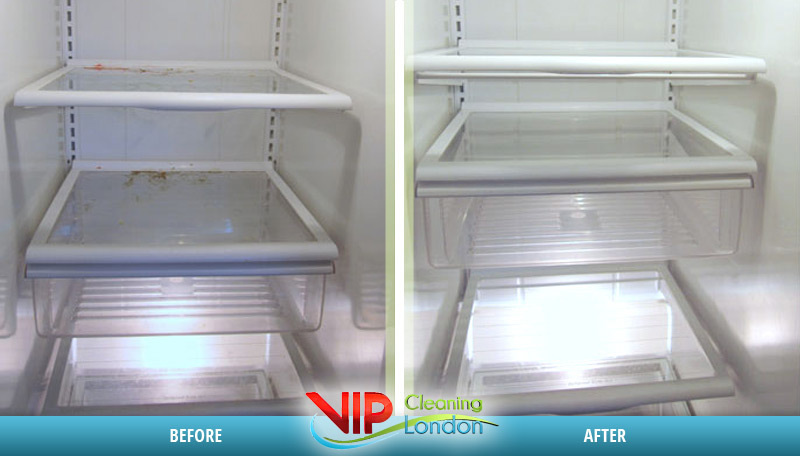 All the fridge parts inside and outside of the fridge are cleaned with special detergents. After cleaning, everything can go back into place and fridge can be switched back on and set to the desired temperature. Last but not least, we pay close attention to the fridge cover, whether plastic or non-incendiary, because they require a different cleaning technology. We do not recommend using abrasive sponges or staples when cleaning your appliance, as it will damage the coating. After completing our service, please take a careful look at the fridge/freezer. If there are missed parts, not cleaned, you should discuss it on the spot while the team of cleaners is still in your property. Post their departure from your home, we cannot accept any claim.